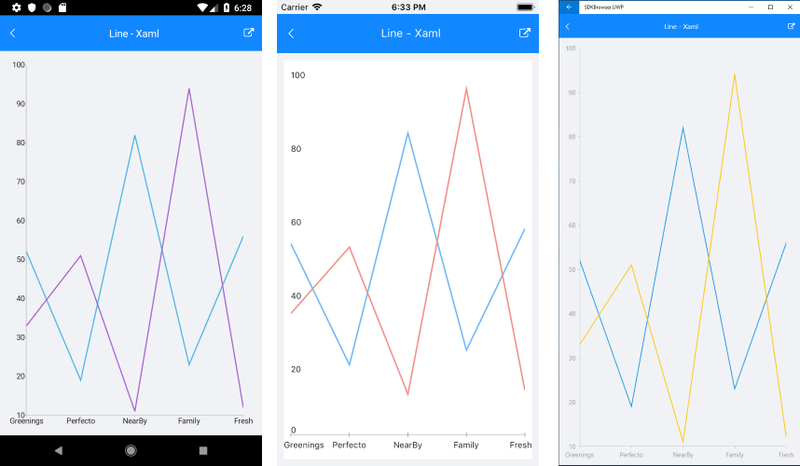 RadCartesianChart visualizes each data item from the LineSeries and connects them with straight line segments. The LineSeries extend CategoricalStrokedSeries, so they are also CategoricalSeries and require one CategoricalAxis and one NumricalAxis. 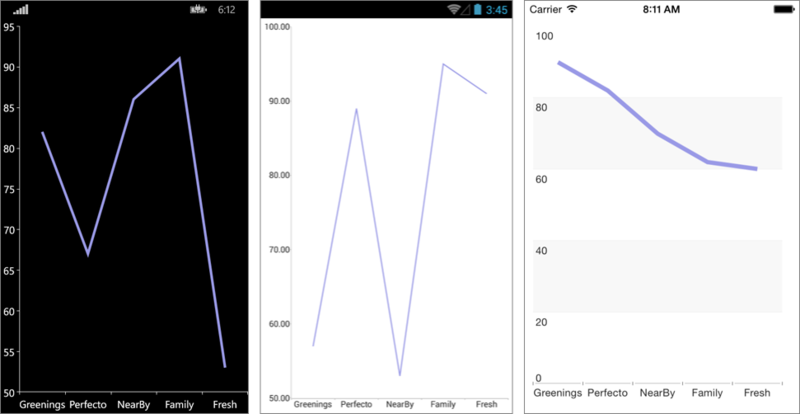 A sample Line Series example can be found in the Chart/Series folder of the SDK Samples Browser application.